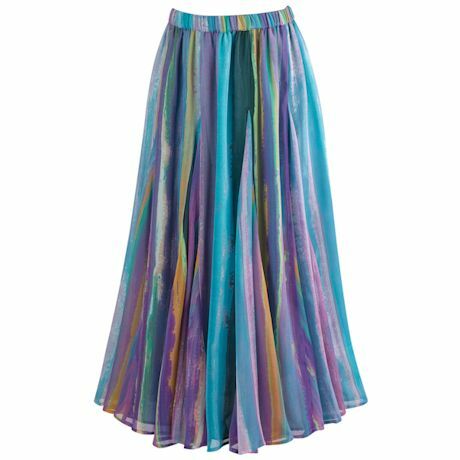 Add volume-both in color and in presence-with this supple, flowing skirt. Gorgeous spring-color stripes create length in your look, while a soft elastic waist adds all-day comfort. Machine wash. 100% Polyester. Imported. S(6-8), M(10-12), L(14-16), XL(18), 1X(18W-20W), 2X(22W-24W), 3X(26W); 36"L.